A few years ago a friend from Melbourne who knew we had an interest in Pinot brought us over a bottle to try. The wine was very good and the label memorable. One of Reg Mombassa’s painting on the Label. I’d heard about William Downie, but never tried any of his wines. “Right now, I feel that I’m ready to get started on my winemaking career. I’ve been ‘dicking’ around for 15 years… learning a few things…. running a few experiments and now I’m ready to get started”. William’s is an interesting journey in wine. Early life, why wine ? I grew up in Gippsland. Dad was an engineer, he ran pulp mills most of his career and ended up in the Latrobe Valley working in power generation. When I was quite young there was no wine in the house, we were very, very working-class.As I got into my late teens, there was more wine around the house and it started to interest me. I remember when I was 19, I bought Dad a bottle of 1985 ‘Hill of Grace’ for Christmas. This was in 93 and 94 so it was a back vintage, cost me fifty bucks, I thought it was a pretty good price, but still a lot of money for me at the time I was playing in local bands, didn’t make much money and started working part-time in a bottle shop. The owner, my boss at the time, said to me, “Bill there’s no money in beer and spirits we need to learn more about wine, we need to sell more wine”. He enrolled us both in a ‘Jeremy Oliver’ wine appreciation course. We did a couple of six-week stints and I just got more and more into it. Even though I played in bands, my real passion was recording music. Looking back now I realised even at the time that I thought recording music and making wine were very similar – you just used different bits of equipment. In 1998, I heard about the first Negociants ‘Working with Wine Fellowship’. I didn’t think I had a hope in hell, but I applied on the day applications closed and got in. I had to submit a written piece. The thing that always interested me was that wine could taste like ‘somewhere’. I wasn’t interested in variety and never have been really. I’d heard about Bass Philip, it appealed to me a great deal more than many other commercial wines I knew. Even though I’d never tasted the wines, I’d read a lot about them and thought this was the kind of place that really interested me and it was local. 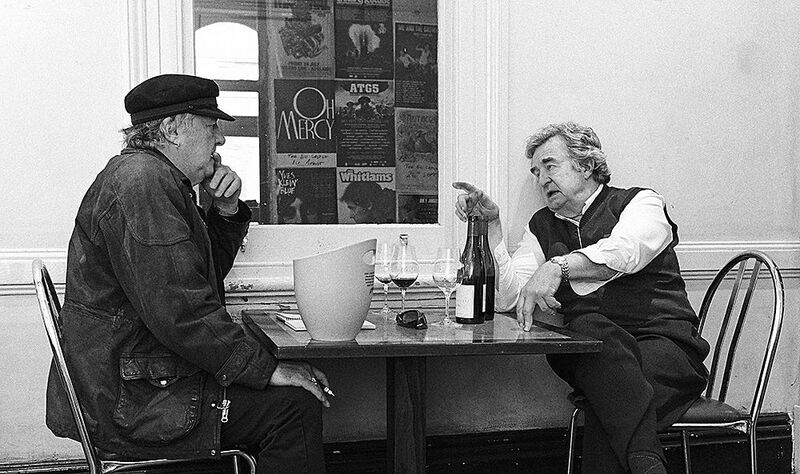 Bass Phillip founder and winemaker Phillip Jones meets up with wine writer Philip White at a 2009 tasting at The Exeter hotel in Adelaide : Photo © Milton Wordley. So, for my written piece I called up Philip Jones and asked if I could interview him for my essay. “What if I come down and give you hand for a day can we talk then?” I replied. “Okay come down next week” he agreed. So that was where the Pinot Noir thing came from, that really sealed the deal for me. I was out of music and into wine, there was no turning back. He travelled a lot, but we had lunch together every day he was there, mostly just us. There was always some wine with lunch, generally it was Bass Philip or Burgundy and within less than a year, having never tasted Bass Philip or Burgundy I could pick a Ramonet or a Rousseau without any trouble. I worked there as a vineyard labourer for almost 2 years . The first year we had a really close relationship and then the second year we had a falling out and we agreed I should leave. His parting words were “Bill you have a very low aptitude for winemaking I think you should consider another career path”. It took me years to get over it. It wasn’t until the 2006 Gourmet Traveller thing that I finally felt I could make it work. Where to from there ? 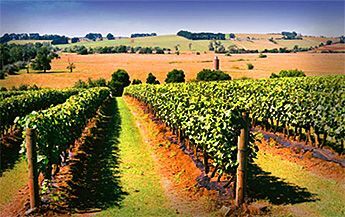 While I was at Bass Phillip I enrolled in an associate degree in wine-growing (or whatever it was called then) at Charles Sturt University. I got a job as a cellar hand at De Bortoli Wines in the Yarra Valley with Steve Webber, even though I’d never turned on a pump in my life. I did the 2001 harvest, and then I resigned in August that year to go to Burgundy where I had lined up a vintage job. As I was leaving Steve said, “I’ll be disappointed if you come back in less than three years” and then he offers to fly me back each year for harvest. I came back to De Bortoli for the 2002 harvest. So, I did the whole lot my way except for one parcel which I did the way they’d always done it. I think Steve knew that’s what I’d do, because he knew I felt there were things they were doing at the time that were fundamentally not quite right. 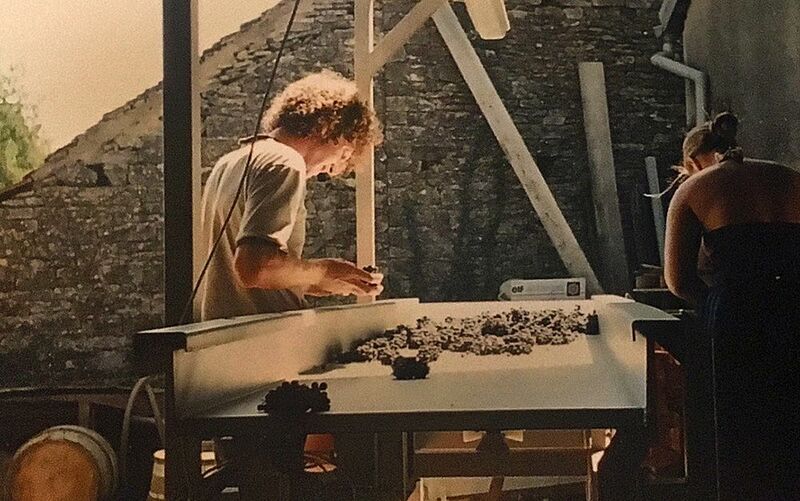 Bill hand-sorting grapes for the De ‘Bortoli Gevrey Chambertin’ in 2003. And then I buggered off back to Burgundy…. everyone hated the wines at first but slowly came around to them. We were having lunch one day during harvesting and I told Steve that I was thinking of buying a barrel of wine when I got back to Burgundy. I thought that would be great but had no idea how to do it. I went back and tried to buy some fruit but couldn’t get it to happen. Steve came over for the 2003 vintage in Burgundy and we met a couple of people, brought some fruit and made some wine together. So here I was in 2003, I’d just about never left the Latrobe Valley in my whole life, and I’m still not qualified as a winemaker, making wine in Burgundy, possibly one of the first Australians to make wine there. I think I was 27 or 28. I didn’t speak any French when I got there… didn’t have a car, didn’t have a telephone, had no money…. seriously I had no money – just about starved to death. 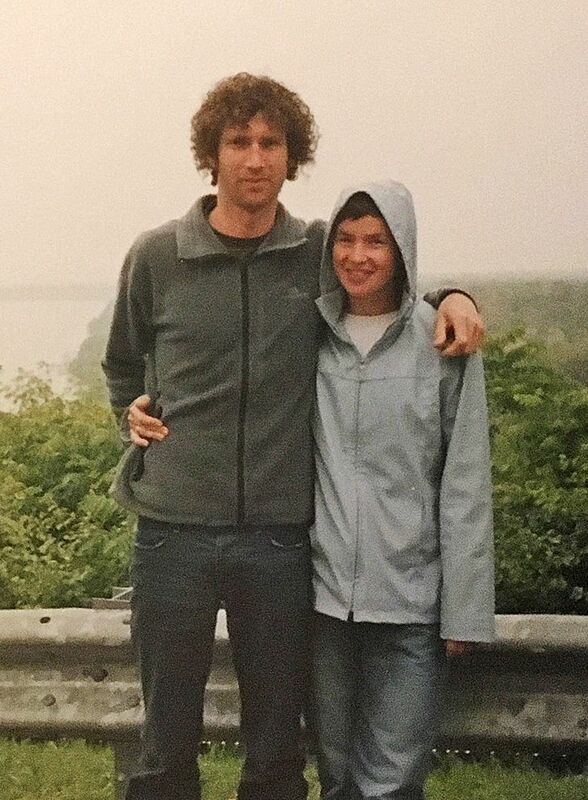 William and Rachel in Ontario 2003. I met my wife over there. She is Canadian / Australian but speaks fluent French, she is still the most passionate food and wine person I’ve ever met in my life absolutely fanatic, so she really introduced me to France, the real food and wine culture. It’s a great part of the world and it changed my whole life completely. I worked with Steve at de Bortoli as both casual and full time for around seven years. “Okay I’m happy with that, I’ll support you”. I often think we discovered things together…. this very experienced older guy and this upstart kid and they were on this journey together. We were helping each other. 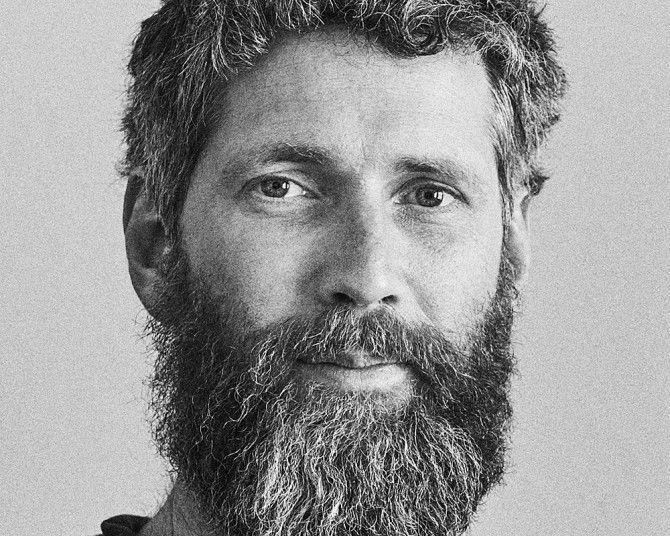 You have had your own ‘William Downie’ label since 2003, but done other projects along the way ? While I was at De Bortoli we agreed I could make a small amount of my own wine under my own label William Downie in 2003. 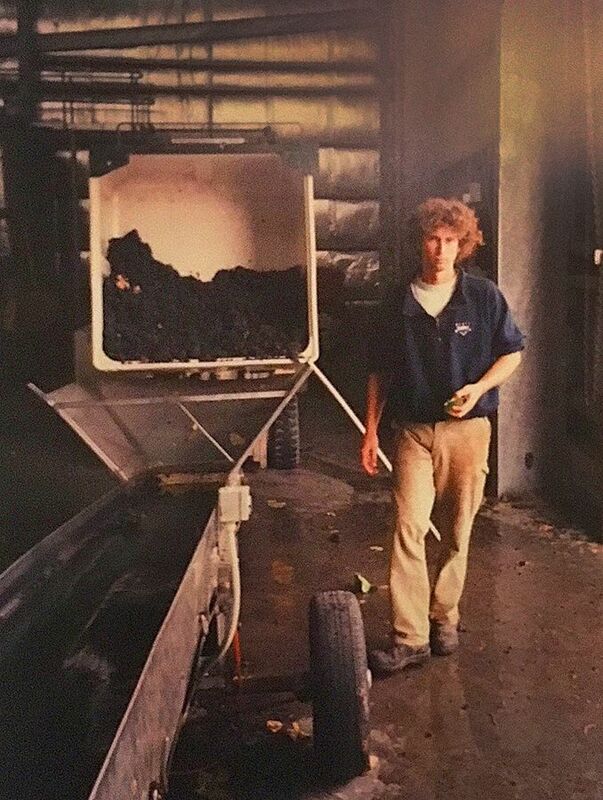 Bill-hand sorting grapes at De Bortoli in 2004, the first year they hand-sorted. I don’t think any of us thought anything would come of it, but quite quickly the wine generated interest and then the inevitable conflict crept in. I ended up as senior Winemaker in 2006, I was 32. In 2007, I got the shits and left, maybe it was my ego, I’m not sure. I went to work full time for ‘R Wines’ with the now infamous Dan Phillips, then with the ‘Thousand Candles’project run by a Singaporean billionaire with a keen interest in wine. That was an interesting project. 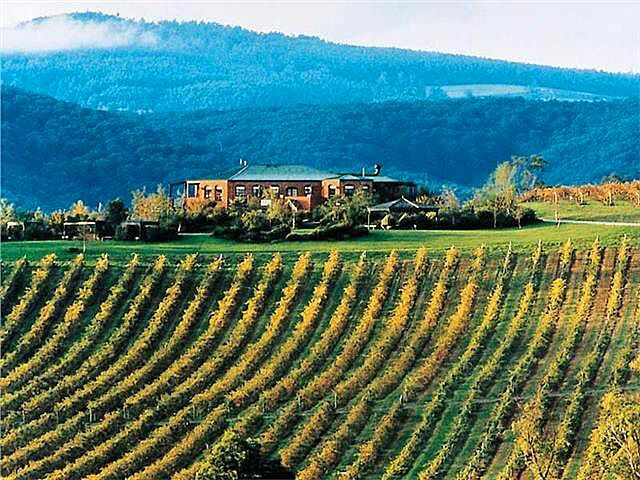 We bought a property I knew very well in the Yarra Valley, it was a special place. Once we bought it, I said “This is it …this is what we’re gonna do with the property” and I put together the team. My plan was to farm the land, to listen, I didn’t want to have a preconceived idea of what kind of wine we were going to make. We were going to ignore all the existing reference points and we were going to tip all the money into farming. Then we were going to harvest the grapes, stick them in a tank and listen some more. I wanted to let it be whatever it wanted to be. We end up with this quite unusual wine which infuriated many, many people. We planned to sell it for what it cost to do it. So, the first release was a completely wacky wine that sold for 110 bucks a bottle. It was a blend of Shiraz, Pinot Noir and Sauvignon Blanc. Everything we did pissed the establishment off and just irritated everyone. I think there were all these racial undertones as well because the money was from Asia. I could see so clearly if it had been French company that had backed it, people would be climbing over each other to get on board, but it was Asian money and the wine was expensive. I did that for five years and everybody hated us and everything we did. Well, just about everyone, bar a small number of people who understood what we were talking about and trying to do – to explore what it is to be an Australian wine and find out what the drivers are. Unfortunately, it didn’t sell, it just didn’t work. Thousand Candles still exists but has changed direction. During this whole time, the William Downey label continued, but up until two years ago it was just a little sideline. You said once : “It has taken me 15 years to learn to do nothing in the winery” ? Right now, I feel that I’m ready to get started on my winemaking career. I’ve been dicking around for 15 years… learning a few things…. running a few experiments and now I’m ready to get started. We’ve now got the sites we want. They are all exclusively West Gippsland. We now have our own farm where we have planted a small vineyard. 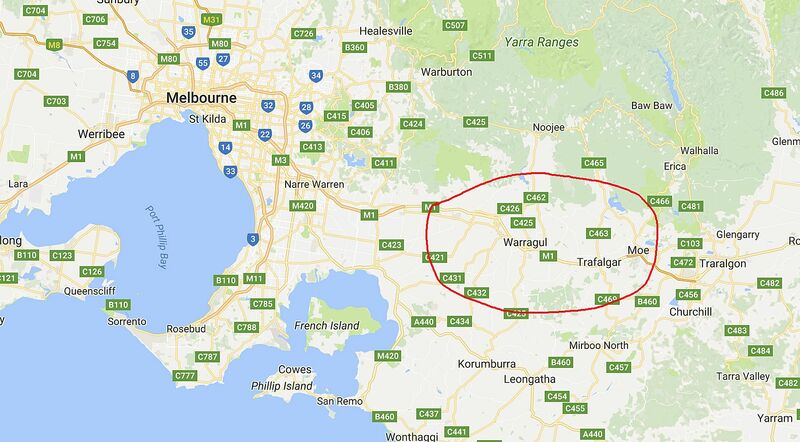 West Gippsland, about 100 kilometres east of Melbourne. The vast majority are leased properties which we manage with a good friend of ours, Pat Sullivan. From now on we will be making exclusively Pinot Noir from our sites in West Gippsland. Your label ‘William Downie’ : What’s the back label to that. Reg Mombassa label on the ‘William Downie Gippsland’ Pinot Noir 2015. I grew up a ‘muso’ and a crap surfer, so I knew of Reg Mombassa through Mambo. When we had some wine in 2003, Rachel and I were thinking of a label. We thought it would be really cool to get Reg Mombassa to do it. Reg was the artist who had the most impact on my early life. When I was a teenager our Mambo T-shirts were the most prized possessions for me and my mates. They came back and said, “well he’s happy to meet with you.” So, we flew to Sydney and met with Reg at Watters Gallery. Reg pulls out his photo albums, this is all my work, choose whatever you like he says. The first one on the first page is what is now our Yarra Valley label, he said “yeah that’s one I painted atArthur Boyd’s Veranda at Riversdale”. That was kinda’ freaky as it tied in with an old story about a mate of Dad’s who is a great wine collector. He inherited a barrel of Muscat from Doug Seabrook after he died. 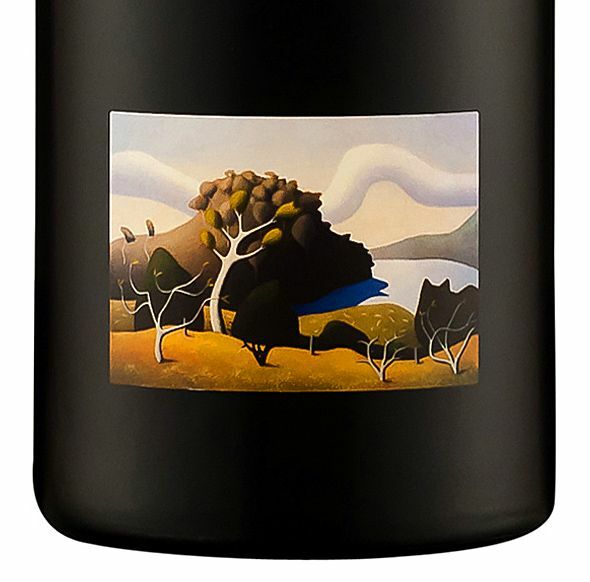 To commemorate his life, they produced a special Brown Bros Muscat, the label was an Arthur Boyd sketch. It stuck with me, as I always thought Australian wine labels back then were a little crass. 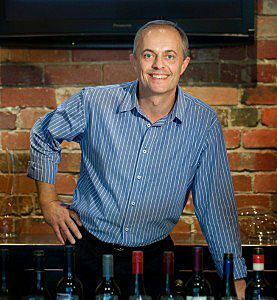 Steve Webber, chief winemaker and manager DeBortoli. I respect Steve, that was nice of him to say that. I can’t say I agree with him though ! A Biodynamic Petit Verdot from the Riverland ? That was part of a separate export project I was involved in under the label ‘Bill Downie’. The whole thing for me has never been about the grape variety, it has no interest for me. It’s about place and it’s about agriculture in that place. Our UK importer asked for something a bit less expensive to help fill the shipping container. So I thought the Riverland was the most sensible place to go if we were going to make something less expensive, what would happen if we actually chose a variety that grew well in the climate…. that you don’t have to acidify. What about if you farm the land properly, can you make an interesting wine ? 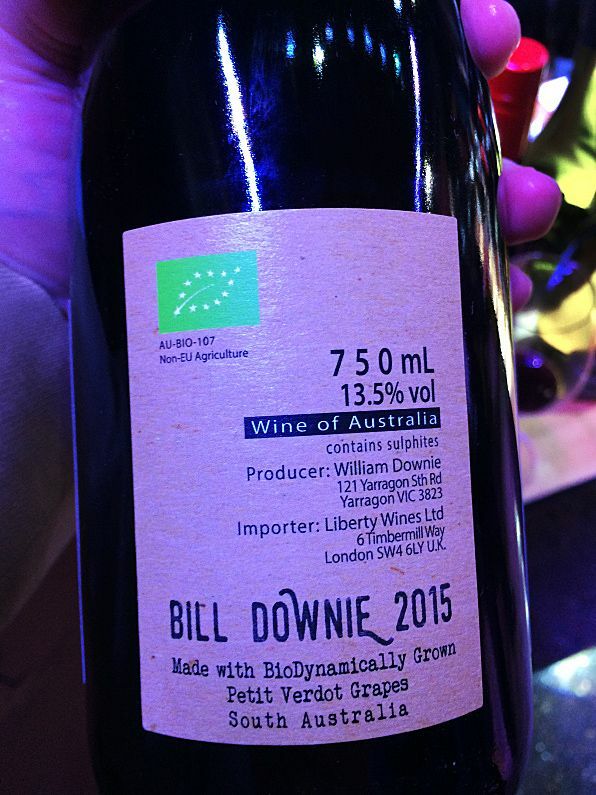 Bill Downie Biodynamic Petit Verdot, Jim Lockard’s wine of the day at a 2016 London Australian Wine tasting . Photo courtesy Jim Lockard. What are the real possibilities in the Riverland? They are growing varieties up there that are utterly unsuited to that climate… and farming with very little respect for the land. I thought what else is possible ? 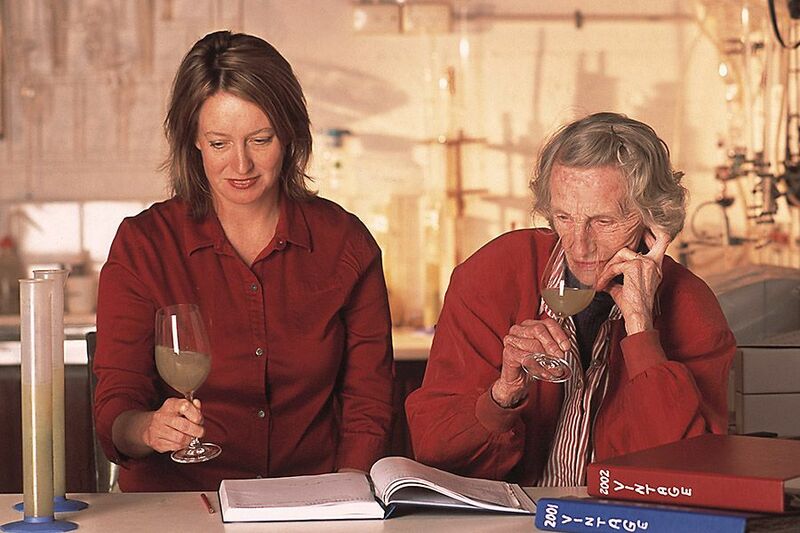 Can the engine room of Australian wine look a bit different ? Our export agent is owned by Yalumba and they had a certified biodynamic vineyard with a little bit of Petit Verdot under contract, so that’s how it came about. It works well in the UK, hasn’t been enormously successful anywhere else, not sure if we’ll continue with it. I believe deeply in the value of those in-land areas and I think it’s important to the future of the Australian wine industry that we choose varieties which work in that climate. The whole thing about wine is not the variety. Gourmet Traveller young wine maker in 2006, Awards and wine shows, any thoughts ? I don’t have a problem with ‘Winemaker of the Year’ kind of stuff. I quite like the fact that they now have a viticultural award, I think that’s really significant. But I actually think the wine show system has been counter-productive, I’m really not okay with that, I think wine shows are a complete waste of time. 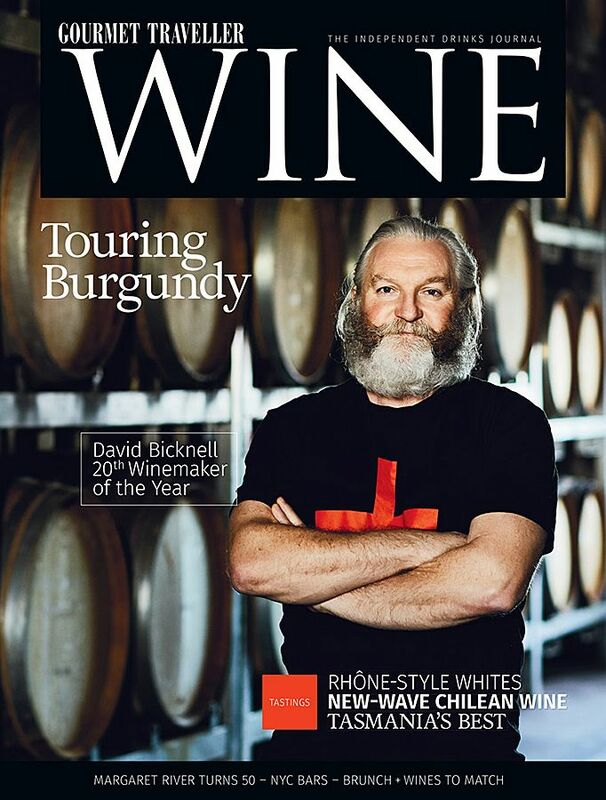 David Bicknell the current Gourmet Traveller Wine maker of the year. The Gourmet Traveller Young Australian Winemaker of The Year in 2006 was a complete surprise. I didn’t nominate, Peter Forrester just rang me up one day and invited me to the awards dinner, I had no idea, I suppose there’s a committee or something. For me it was reassuring, because I’d been ridiculed and criticised by lots of people, still am to this day. I did get a personal benefit from that. Horses in the vineyards ? We still use a horse at the farm at home. The first place I saw it was in Burgundy and I still remember it. I was absolutely captivated and I just thought that’s how I want to work, I hate tractors – I want to work with a horse, that’s amazing. That’s how it should be. We have done that now for six or seven years. William and Arch in the ‘Home’ vineyard. 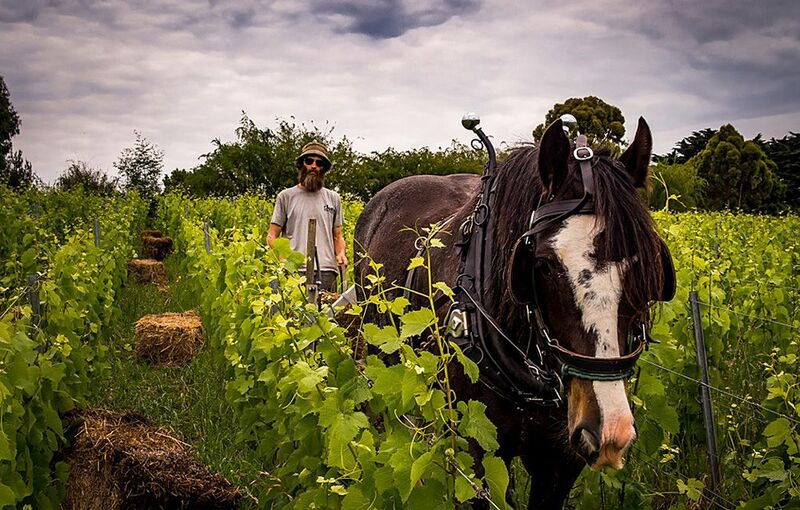 Our vineyard at home is worked exclusively with a horse, we don’t have a tractor, it’s a really lovely thing to do. In our case the row spacing in our home vineyard is so narrow, there is a legitimate economic case for using the horse. It’s cheaper to use a horse than a tractor, the economics just stack up and it’s much better for the soil. Our current horse is Archer or Arch. Music : The Yeastie Boys ? I play with the ‘Yeastie Boys’ we play Rock and Roll whenever we can get together. 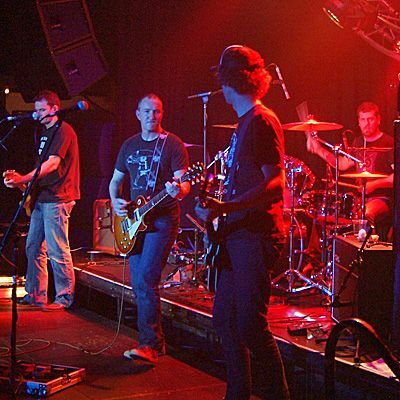 Bill on Bass with the ‘Yeastie Boys’ at the 2017 Wine Tech Conference. We’re all in the wine trade, Stu Proud, Mark O’Callaghan, and Paul Bridgeman, Max Allen is often makes a guest appearance. None of us have time to do it properly – we only play a couple of times a year. It’s bloody hard to get everybody in the same spot at the same time. Touring in a band is pretty crap, I did it when I was young. Part of me misses it though, the hour or so when you’re performing on stage especially when you get good at it, makes it worthwhile. I’ve never had any other experience quite like the best shows we’ve played, it’s a magical feeling. I listen to a lot of music, these days at home it’s a lot of southern American Americana folk stuff, more like Gillian Welch and Willie Watson. Still love AC/DC, I’ll often be in the car bashing out AC/DC, all the classic old 80’s Australian stuff. Rolling Stones remains to me an important part of my music background but equally so are bands like The Church. The new stuff. The stuff the young guys are making, it’s like ’Woo Hoo’ it’s finally happened in the last five years, I’ve been waiting a decade for this. I guess what most people would call natural wine. But I also love the classics. I just spent a few days in Margaret River drinking Chardonnay and Cabernet, how could you not love that ? I had dinner with Vanya Cullen the other night, she opened a couple of bottles of Diana Madeline, a 1996 and a 2012, both cracking wines. I love Mount Mary, Wendouree and Rockford, especially Rockford. For me Robert O’Callaghan’s business model is just about perfect. There’s a huge debate about natural wine. 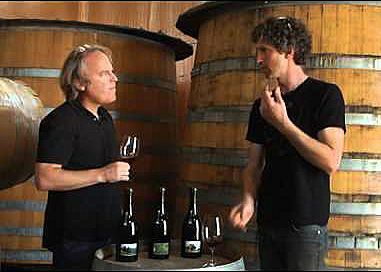 We decided we were going to make natural wine in 2002 and we’ve worked every single day since then to do it. The only way you can make natural wine in my world, is to buy a bit of dirt and plant a vineyard from scratch, because you can’t buy one that’s set up properly here in Australia. You learn how to farm it properly, to work it with a horse. Then you learn how to work in a winery properly – you need to understand the biology of grapes, we don’t measure Baumé or pH, we just look at cells under a microscope. 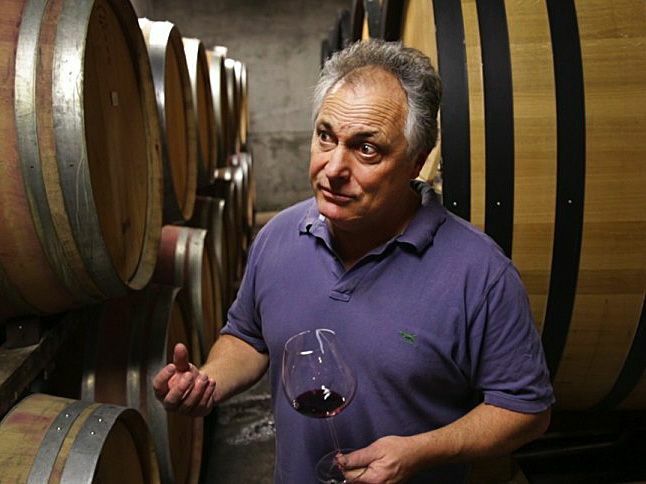 You need to know how to do nothing in the winery and have a predictable outcome, and that’s been my whole working life. Every now and again someone turns up out of blue in their first year of making wine, just out of university and makes a natural wine. I want to love their wine and what to drink it, but often it’s not really quite there for me. 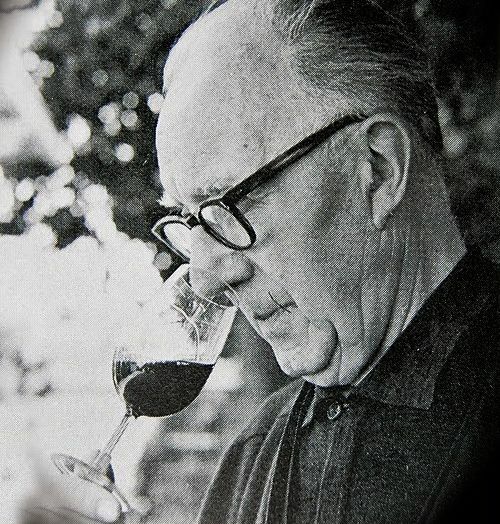 Jules Chauvet the French winemaker. 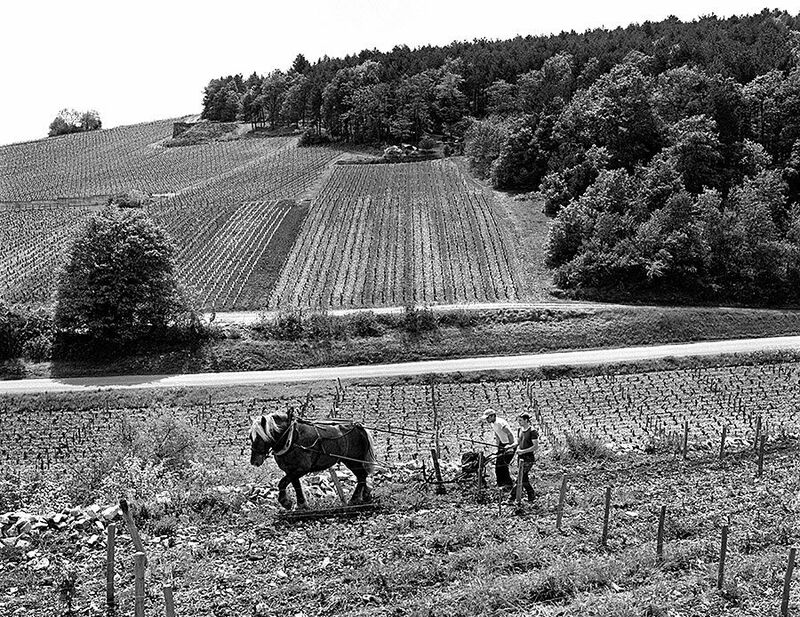 I feel like two things that happened in France a while ago have been a big influence, one was Jules Chauvet trying to understand how to work without sulphur in the 1950’s and then there was the whole biodynamic farming thing culminating with Nicolas Joly in the late 70s early 80s. Those two things met in the 90s and that’s what kind of became what you talk about as natural wine. It’s the agricultural element that was absolutely fundamental to me because that was the basic principle on which everything else sat. In Australia, we needed to learn the basic principles, so its kind of happening in reverse. We are starting to understand the value of agriculture and learning much more about the winemaking process…. less about trying to emulate a style and more about grasping and understanding the principles that it’s built on. From this vintage on we will only make Pinot Noir locally from our own vineyards in Baw Baw Shire. 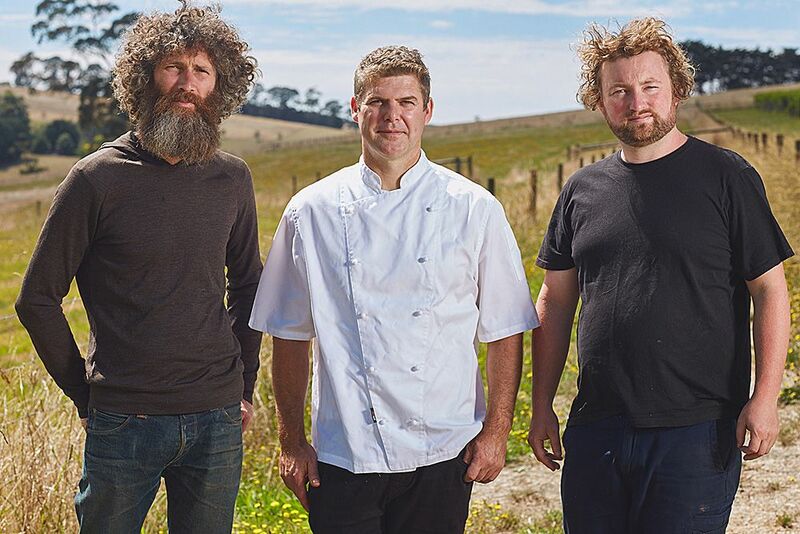 Joint venturers William Downie, Trevor Perkins and Patrick Sullivan, in the Hogget Kitchen at the Wild Dog Winery in Warragul. Most of my time these days is looking after stuff on the farm. When we leased the new vineyards one of them had a winery and a restaurant, that suited us. We took the winery and a close friend and chef Trevor Perkins took the restaurant. We mostly eat from the farm, we don’t buy meat generally, we only use what we grow ourselves, Trevor helps us with our charcuterie production. Just about everything we have is grown or made by ourselves, from olives to most of our fruit and a big chunk of our vegetables. My wife Rachel has a business doing butter, bottled milk, yoghurt and sour cream. We have a flock of 35 dairy sheep, that’ll be the cheese part of the business hopefully next year when we get set up. Going back to what I said earlier, the overriding thing that has always interested me all along was that a wine could taste like somewhere, from right back from when I was at Bass Phillip, I wasn’t interested in variety and never have been really. We all talk about terroir. 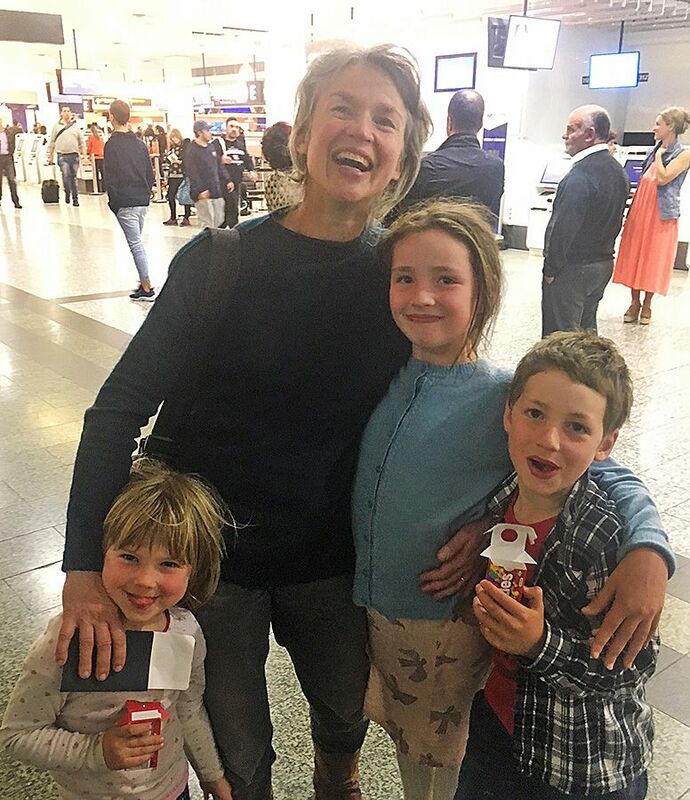 Rachel welcomed home after a recent trip to France by the kids, Martha, Emerson & Quentin. I often think If I were to stand and take a photograph in the Rhône Valley it would be mostly land and a bit of sky. If I take a photo in Australia it would most likely will be this much land and much more sky. Whenever I travel I often feel somewhat claustrophobic. 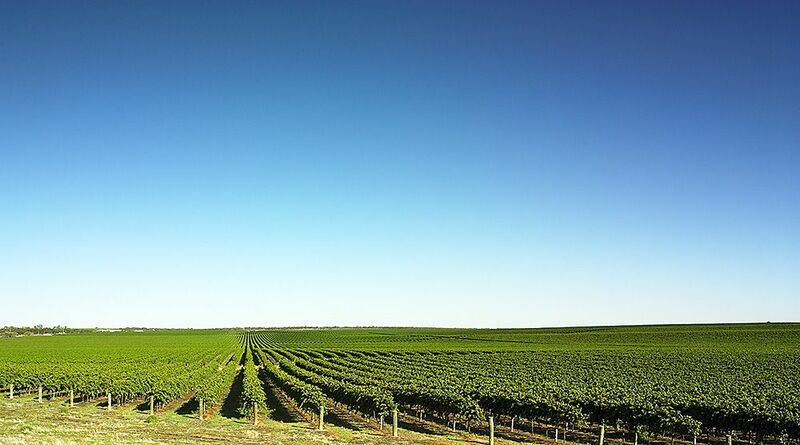 Maybe the sky is an important part of the character of Australian wine…. I’m not sure, but I’d like to find out. Anthony Rose : UK Wine writer.